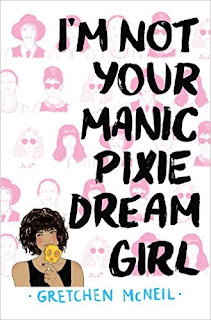 Happy Book Birthday to the talented and hilarious Gretchen McNeil. Do yourself a favor and buy a copy of her latest novel, a clever, witty, stereotype-twisting delight! A math whiz develops a formula to fix her high school experience...Bea’s cold and clinical nature is another plus: she isn’t driven by raging libido but rather a righteous anger that makes her a calculating badass. A quintessential thinking gal’s love story.